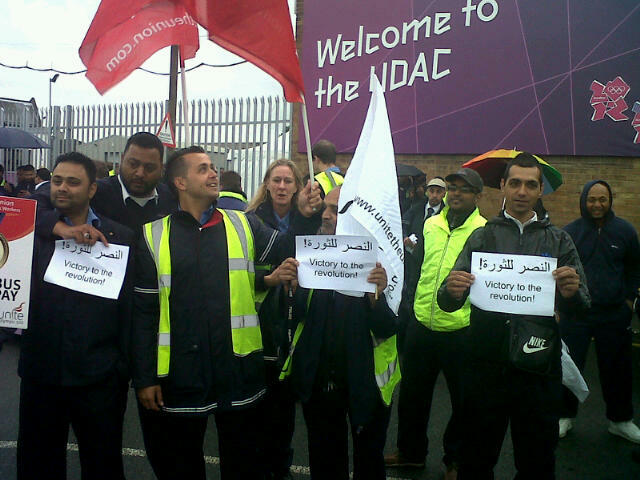 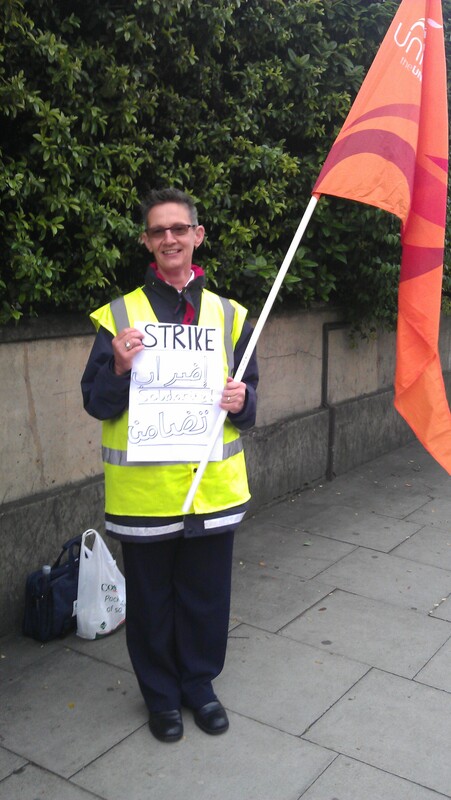 Thousands of bus drivers across London took strike action on Friday 22 June to demand a bonus for the Olympics. 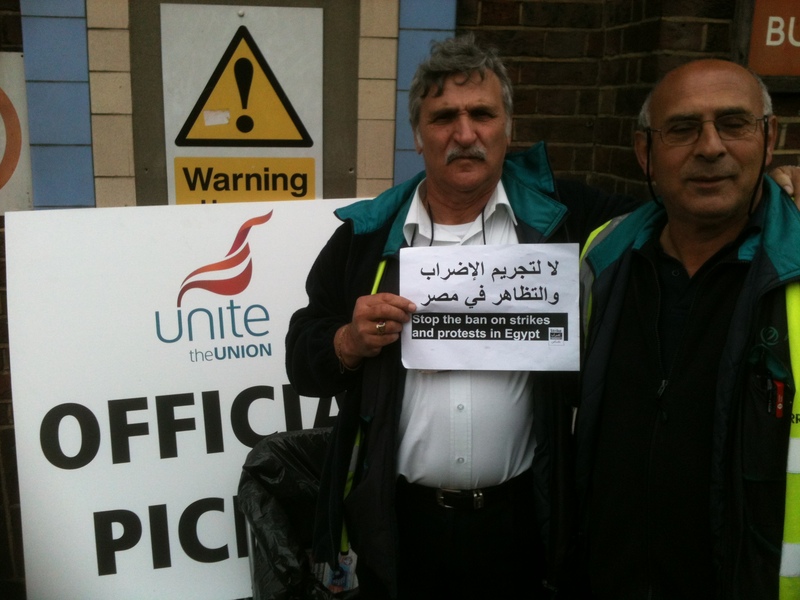 MENA Solidarity activists visited the picket lines at four garages, bringing a message of support from bus workers in Cairo for the strike and asked the strikers to send back a message of solidarity to Egyptians in the face of attempts by the military council to undo the democratic gains of the past year. 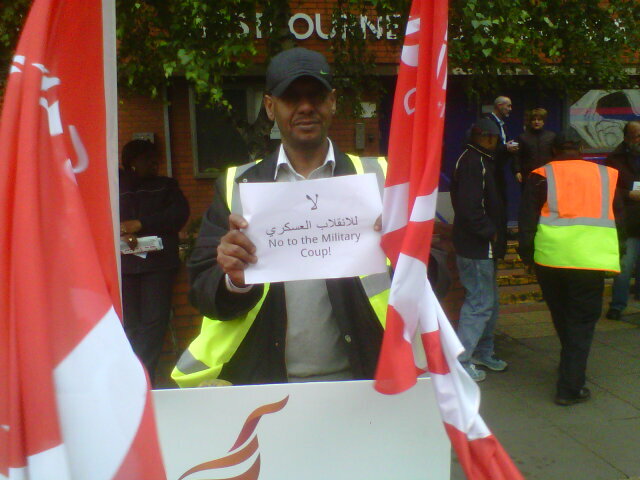 June 28, 2012 in Campaign, Egypt, Strike reports, Transport, Union news, UNITE.